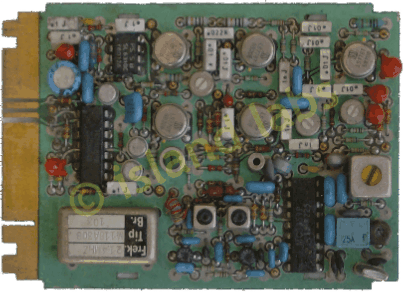 ± 7.5 kHz narrow band board for PRC677. Features low power consumption and sensitivity better than 0.5 µV; a crystal filter is used for optimum selectivity. ± 15 kHz wideband I.F. 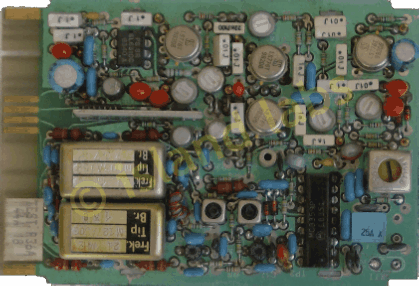 board for PRC 677A allow data transmission up to 2400 baud. In voice mode, the +/-7.5 kHz filter is used. For data transmission, the wide filter is used.